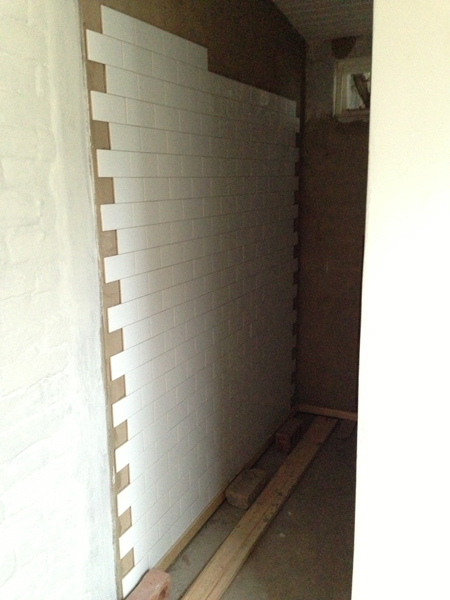 It is a dingy day this morning so my pic is a little dark but I am too excited to show you the beginnings of the subway tiles being put up in the MESSY STUDIO bathroom. They are from ITALTILE in Umhlanga and have a beautiful glaze. We went for a flat gloss tile with no bevel, as the beveled tiles available are a little too uniform/machine made for our liking. 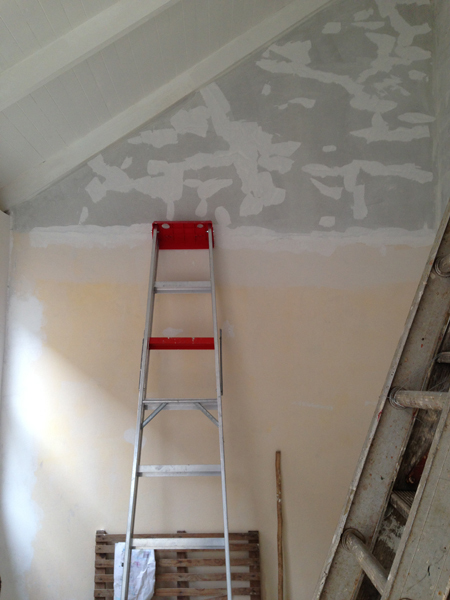 Our lovely builder has been doing all the final patching, painting, filling of gaps and Rhinogliding the walls and ceiling, in a small space especially one painted white, every little blemish or gap is glaringly obvious, especially to fussy britches like us.